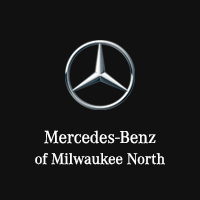 Mercedes-Benz of Milwaukee North invites you to search our fantastic stock of used cars, trucks, and SUVs for sale near me in Milwaukee, WI. Our customer service specialists are standing by to help you find the next car of your dreams. Plus, don’t forget to ask about our used car financing program. From perfect credit to low credit, Milwaukee Mercedes-Benz North will work hard to get you the used car financing you need. View our inventory online, stop by for a test drive, or call (866) 764-8231 today.